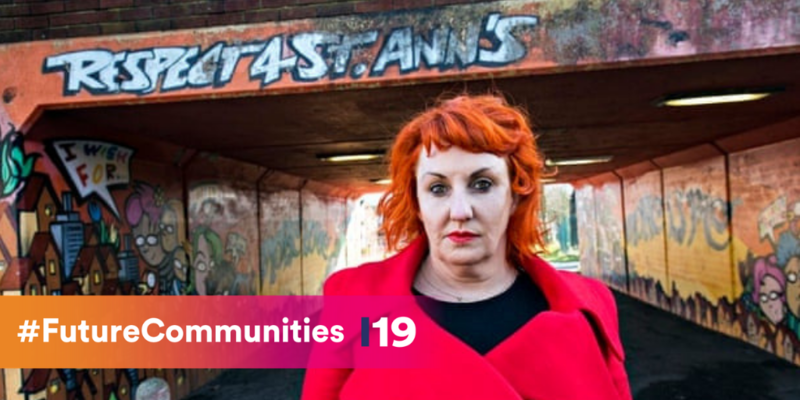 At the Ingenuity19 Future Communities summit, Lisa will be exploring the experience of poverty for women and children in Nottingham city and county. Now an academic at Middlesex University; Lisa has a unique viewpoint applying personal experience growing up and raising a family in working class Nottinghamshire, before moving on to gain a PhD from the University of Nottingham. With less than a month until we come together at the Future Communities summit, Lisa provides us with an insight into her working class upbringing and how that’s shaped her journey. Growing up in a Nottinghamshire mining community during the 1970s was not easy, the people who live in them are used to hard graft. All of the men in my family and in the wider community were miners they worked miles underground in the dark and the dirt. Hard work was not only done by men, I followed my mum, and my aunties in the early 1980s into the factory at 16 having two unpaid half days off to take my English and History O levels. In truth no one really cared whether I had any qualifications, my life was set, factory work, wife, motherhood – if I was lucky. The County has lost hundreds of thousands of manufacturing jobs and we are no better because of this. As a mother with a son I like many Nottinghamshire women would not have wanted my son going down the coal mines, and in some ways I am glad that they are closed, I worked in a factory making tights from the age of 16 until I was 25 and the work was physically demanding, and repetitive and some days I actually thought that I might die of boredom. It could be soul-destroying work. Although it paid relatively well, for the life that I expected and was expected to live, working class family shapes were expected to be totally functional, hard physical graft for men, while women made the tights and knickers, and socks that the nation needed while doing all of the caring and raising the next generation of workers. What stopped us from going insane within this highly functional and predictable life was each other, the community that I had every day when I went to work that I valued. Working with my friends and my family was an experience that I have missed ever since. So much has changed in Nottinghamshire over the last 30 years, the coal mines have long gone, so have our large engineering employers like Raleigh Bikes, the University of Nottingham’s Jubilee Campus sits on this site in Radford. Life has also changed for me, as the factories closed, and realised in my early 30s, that the predictable life that my family had lived for generations was ending, and my own curiosity and frustration to push the limits that had bound me, as a working class woman, growing up on a council estate. I found myself on an Access course, and then at the University of Nottingham. After a lot of time, and even more hard work but this time not physical, I was awarded a PhD at the University of Nottingham in December 2009. Since then I have left Nottingham, and I am now working in London, but I plan to return this year. There is a lot of work still to be done in Nottinghamshire, men and women like me are still held back, and their potential is being strangled, not through the factories or deep in the mines, but in the warehouses that have been built on the ruins of those old industries. Working class people’s horizons are still contained by poverty, by a class system that refuses to change, and by the lie of social mobility, that places the blame of working class people’s assumed failure on their lack of ‘aspiration’ rather than on a system that refuses to give them the space to thrive.